Dr. Collins earned a B.S. in Chemistry at the University of Virginia in 1970 (mentor Carl Trindle). He went on to attain a Ph.D. in physical chemistry at Yale University in 1974. He then enrolled in medical school at the University of North Carolina at Chapel Hill, earning there an M.D. in 1977. rom 1978 to 1981, Dr. Collins served a residency and chief residency in internal medicine at North Carolina Memorial Hospital in Chapel Hill. He then returned to Yale, where he was named a Fellow in Human Genetics at the medical school from 1981 to 1984. During that time, he developed innovative methods of crossing large stretches of DNA to identify disease genes. 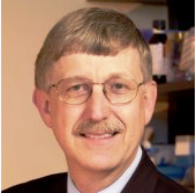 In 1984, Dr. Collins joined the University of Michigan in a position that would eventually lead to a Professorship of Internal Medicine and Human Genetics. Dr. Collins accepted an invitation in 1993 to succeed James Watson as Director of the National Center for Human Genome Research, which became NHGRI in 1997. As Director, he oversaw the International Human Genome Sequencing Consortium. Dr. Collins’ accomplishments have been recognized by numerous awards and honors, including election to the Institute of Medicine and the National Academy of Sciences, and the Presidential Medal of Freedom. On July 8, 2009, President Barack Obama announced he will nominate Dr. Collins to lead the National Institutes of Health.